Gregg Edmund Easterbrook (born March 3, 1953) is an American writer and a contributing editor of both The New Republic and The Atlantic Monthly. During the National Football League season, Easterbrook writes an eclectic column called Tuesday Morning Quarterback, formerly on ESPN.com. The column migrated to the New York Times in September 2015, and then to The Weekly Standard for the 2017 NFL season. He has authored ten books (six nonfiction, one of humor, and three literary novels), and writes for op-ed pages, magazines, and journals. Gregg Easterbrook was born in Buffalo, New York, the son of George Easterbrook, a dentist, and Vimy Hoover Easterbrook, a teacher. Easterbrook attended Kenmore West High School in Tonawanda, New York. He has a bachelor's degree in political science from Colorado College and a master's in journalism from Northwestern University. In 1979, Easterbrook became an editor of The Washington Monthly. In 1981, he joined The Atlantic as a staff writer, later becoming national correspondent; since 1988, he has been a contributing editor. Easterbrook has been a political columnist for Reuters, a senior editor and then contributing editor to The New Republic, and a fellow in economic studies and then in governance studies at the Brookings Institution (that fellowship lasted for nine years up until 2011). He has lectured at the Aspen Institute and Chautauqua Institution, and spoken at many colleges. Easterbrook's journalistic style has been characterized as "hyper-logical" and he himself as "a thoughtful, deliberate, and precise journalist ... a polymath and a quick study." His areas of interest include environmental policy, global warming, space policy, social science research, Christian theology, and sports — especially professional football. In 2017, he was elected to the American Academy of Arts & Sciences. Easterbrook writes the eclectic football column "Tuesday Morning Quarterback" (TMQ), originally published by Slate in 2000, and then on ESPN.com starting in 2002. TMQ was published for two weeks on the independent website Football Outsiders, and then by NFL.com, moving back to ESPN.com prior to the 2006 season. The column relocated to the New York Times in 2015, then to The Weekly Standard in 2017. Fans of the TMQ column include journalist Chuck Todd who has described it as "the best and most compelling sports column anywhere". Detractors include Drew Magary (an editor at the website Deadspin) who has said that Easterbrook's column lacks "any basis in reality". Easterbrook wrote the book A Moment on the Earth (1995), subtitled "the coming age of environmental optimism," which presaged Bjørn Lomborg's book The Skeptical Environmentalist, first published in Danish three years later; Easterbrook argued that many environmental indicators, with the notable exception of greenhouse gas production, are positive. He called the environmental movement "among the most welcome social developments of the twentieth century," but criticized environmentalists who promoted what he saw as overly pessimistic views that did not accept signs of improvement and progress. A Moment on the Earth proved to be very controversial, especially among environmentalists. Easterbrook was accused of mischaracterizing data concerning environmental health, using faulty logic, and being overly optimistic. Other reviewers, like Michael Specter in The New York Times, had praise for the book's efforts to raise positive points in the debate over environmental policy. Norman Borlaug, one of the most important figures in the Green Revolution, was the subject of an admiring Easterbrook article in 1997, and again in 2009 marking Borlaug's passing. Both articles said that Borlaug had disproved the earlier dire predictions of Paul R. Ehrlich, author of the 1968 book The Population Bomb. Ehrlich has severely criticized Easterbrook's 1995 book A Moment on the Earth. He says that greenhouse gas emissions must be curbed in order to win the fight against climate change. Easterbrook anticipates that climate change could benefit some regions, even while causing drastic problems elsewhere. 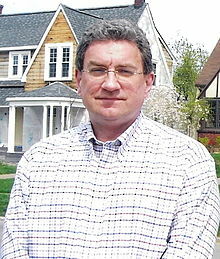 Easterbrook has written three novels: This Magic Moment (1986), The Here and Now (2002) and The Leading Indicators (2012). This Magic Moment is a love story as well as a philosophical work about the meaning of life. The second novel (The Here and Now) was called "moving" by both the New York Times Book Review and the Los Angeles Times, and tells a "satisfying tale of disillusionment and redemption" in the opinion of the San Francisco Chronicle. According to Kirkus Reviews, The Leading Indicators provides social commentary in the form of literary fiction, filtering "leveraged buyouts, derivatives marketing and multimillion-dollar CEO bonuses through the lens of one ... family." Among his nonfiction books, Beside Still Waters (1998) is a work of Christian theology, discussing whether religion matters as much as it did before we gained so much knowledge about ourselves and the world. The book Tuesday Morning Quarterback (2001) — not to be confused with his similar column of the same name — uses haiku and humor to analyze pro football. Another of Easterbrook's books, focusing on social science, is The Progress Paradox: How Life Gets Better While People Feel Worse (2003), which explores people's perception of their own well-being. The book cites statistical data indicating that Americans are better off in terms of material goods and amount of free time but are not happier than before. Easterbrook argues that this has occurred due to choice anxiety (too many decisions to make) and abundance denial (not realizing how well we are doing). His proposed remedy is to make our lives more meaningful by doing good while living well. His book Sonic Boom: Globalization at Mach Speed (2009) asserts that globalization has only just begun and is a good thing to look forward to. Another book, The King of Sports: Football's Impact on America (2013) says that American football in many ways reflects the cultural contradictions of the United States. Easterbrook was a longtime critic of the Space Shuttle program. After the Challenger disaster in 1986, his prescience made him a frequent commentator on space issues. He has also been critical of the International Space Station, because of its expense and the feasibility of conducting the same experiments on Earth instead of in orbit. Easterbrook has called a proposed manned mission to Mars "ridiculously impractical", and has written that the rationale for a proposed permanent base on the Moon is closely tied to pork barrel politics. He has supported other NASA projects such as using unmanned space probes and protecting Earth from asteroids. Easterbrook had a blog at The New Republic Online, until mid-2004. In October 2003, he wrote a blog post critical of what he considered to be the senseless violence in the Quentin Tarantino film Kill Bill, saying that, "Recent European history alone ought to cause Jewish [movie] executives to experience second thoughts about glorifying the killing of the helpless as a fun lifestyle choice." This caused an uproar, and Easterbrook wrote that he "mangled" his own ideas by his choice of words, and apologized. The New Republic accepted blame for the piece in a further apology, and denied that his comments were intentionally anti-semitic. Disney, the parent of the film's distributor Miramax Films and ESPN, fired Easterbrook in October 2003. Besides writing for many magazines, journals, and op-ed pages on a wide variety of subjects, and producing books of his own, Easterbook has also written various book chapters. An example is a book chapter about the 9-11 terrorist attacks. Easterbrook is married to Nan Kennelly, an American diplomat. His son Grant is an expert on venture capital. He is the brother of Judge Frank H. Easterbrook and Neil Easterbrook, English professor at Texas Christian University. Gregg Easterbrook lives in Bethesda, Maryland. The King of Sports: Football's Impact on America (St. Martin's, 2013). ISBN 125001171X. Leading Indicators (St. Martin's, 2012). ISBN 1250011736. ^ a b Hayes, Stephen. "Tuesday Morning Quarterback to Relaunch at The Weekly Standard", The Weekly Standard (August 15, 2017). ^ Kuczynski, Alex. "Changing of the Guard at the Washington Monthly", The New York Times (October 16, 2000). ^ Shafer, Jack. "Blogosmear". Slate. October 20, 2003. ^ "2017 FELLOWS AND FOREIGN HONORARY MEMBERS WITH THEIR AFFILIATIONS AT THE TIME OF ELECTION". amacad.org. ^ David Leonhardt (September 15, 2015). "T.M.Q. Joins The Upshot". mobile.nytimes.com. Retrieved September 16, 2017. ^ Leonhardt, David. "T.M.Q. Joins The Upshot", The New York Times (September 15, 2015). ^ Magary, Drew. "Gregg Easterbrook Is A Haughty Dipshit". Deadspin. Retrieved August 22, 2017. ^ Doyle, Timothy and McEachern, Doug. Environment and Politics, p. 5 (Routledge, 2007). ^ Samuelson, Robert. The Good Life and Its Discontents: The American Dream in the Age of Entitlement, p. 283 (Random House, 2011). ^ Watkins, T. H. "In the company of scolds", Issues in Science and Technology (Summer 1995). ^ Hertsgaard, Mark. Earth Odyssey: Around the World in Search of Our Environmental Future, p. 293 (Random House 2009). ^ Specter, Michael (April 23, 1995). "Earth Day '95; not that hard being green Archived April 16, 2008, at the Wayback Machine". New York Times. ^ Easterbrook, Gregg. "Forgotten Benefactor of Humanity – 97.01". The Atlantic. January 1, 1997. Retrieved 2011-11-12. ^ a b Easterbrook, Gregg. "The Man Who Defused the 'Population Bomb'", The Wall Street Journal (September 16, 2009). ^ Ehrlich, Paul and Ehrlich, Anne. Betrayal of Science and Reason: How Anti-Environmental Rhetoric Threatens Our Future, pp. 74, 110, 111, 136, 146, 147, 198, 217, 223, 227, 315 (Island Press, 1998). ^ a b c d Easterbrook, Gregg. "Finally Feeling the Heat". New York Times. May 24, 2006. ^ Rolston, Holmes. A New Environmental Ethics: The Next Millennium for Life on Earth, p. 6 (Routledge, 2012). ^ Milloy, Steven. "Global Warming Skeptic Claims Environmental Conversion", Fox News (May 25, 2006). ^ Brush, Denise. "Global Warming: Resources to Sustain a Collection" Archived June 5, 2014, at the Wayback Machine, Reference and User Services Quarterly, Vol. 48, p. 334 (2009). ^ Horner, Christopher. The Politically Incorrect Guide to Global Warming: And Environmentalism, p. 48 (Regnery Publishing 2007). ^ Easterbrook, Gregg. "Case Closed: The Debate about Global Warming Is Over Archived June 6, 2008, at the Wayback Machine", Brookings Institution (June 2006): "The United States needs to start now with mandatory greenhouse gas reductions not out of guilt or shame, but because it is a fight we can win." ^ McDonald, Bryan. Food Security, p. 72 (Polity, 2010). ^ See, Carolyn. "Book Review: A Love Story to Fall in Love With", Los Angeles Times (February 2, 1987). ^ "The Leading Indicators, Gregg Easterbrook, Macmillan Publishers". Retrieved March 23, 2014. ^ Nawrocki, Jim. "REVIEWS IN BRIEF / The Here and Now", The San Francisco Chronicle (December 8, 2002). ^ "THE LEADING INDICATORS by Gregg Easterbrook", Kirkus Reviews (October 1, 2012). Retrieved March 24, 2014. ^ Galloway, Paul. "In Search of Common Ground", Chicago Tribune (December 25, 1998). ^ Towers, Sheryl. Seeds of Success: 17 Ways to Nurture the Greatness Within You, pp. 202-203 (Pelican Publishing, 2013). ^ Will, George. One Man's America: The Pleasures and Provocations of Our Singular Nation, p. 174-176 (Random House 2009). ^ Woolridge, Adrian. "The Best is Yet to Come", Wall Street Journal (December 28, 2009). ^ Littlefield, Bill. "’The King of Sports’ by Gregg Easterbrook", Boston Globe (October 10, 2013). ^ a b Day, Dwayne Allen (June 27, 2011). "Gazing back through the crystal ball". The Space Review. Retrieved June 27, 2011. ^ Easterbrook, Gregg. "Beam Me Out Of This Death Trap, Scotty Archived March 4, 2016, at the Wayback Machine". Washington Monthly. April 1980. ^ Jones, Chris. Out of Orbit: The Incredible True Story of Three Astronauts Who Were Hundreds of Miles Above Earth When They Lost Their Ride Home, p. 210 (Random House 2011). ^ Cozic, Charles. Space Exploration: Opposing Viewpoints, p. 88 (Greenhaven Press 1992). ^ Bennett, James. The Doomsday Lobby: Hype and Panic from Sputniks, Martians, and Marauding Meteors, p. 179 (Springer, 2010). ^ Easterbrook, Gregg. "Moon Baseless: NASA can't explain why we need a lunar colony". Slate. December 8, 2006. ^ a b Easterbrook, Gregg. "The Sky is Falling." The Atlantic. June 2008. ^ Easterbrook, Gregg. "How NASA Screwed up (And Four Ways to Fix It)". Wired. May 22, 2007. ^ "Easterbrook – Easterblogg archives". The New Republic. Archived from the original on October 10, 2007. ^ a b Pinsky, Mark. The Gospel According to Disney: Faith, Trust, and Pixie Dust, p. 122 (Westminster John Knox Press, 2004). ^ Easterbrook, Gregg (October 16, 2003). "Easterblogg". The New Republic. Archived from the original on February 14, 2004. ^ Easterbrook, Gregg. "The All-Too-Friendly Skies: Security as an Afterthought" in How Did this Happen? : Terrorism and the New War, p. 163 (James F. Hoge and Gideon Rose, eds., PublicAffairs, 2001). ^ "NAN T. KENNELLY ENGAGED TO WED", The New York Times (January 10, 1988). ^ "Author and Lecturer". Gregg Easterbrook. Archived from the original on June 4, 2013. Retrieved July 10, 2012. Wikimedia Commons has media related to Gregg Easterbrook. Roberts, Russ (March 5, 2007). "Easterbrook on the American Standard of Living". EconTalk. Library of Economics and Liberty. "Q&A With Brian Lamb", CSPAN, October 10, 2013.